I’ve always been a chunky girl. Not physically, although lately I seem to be getting that way. I’ve always preferred chunky soup to pureed soup or pureed anything. I like to feel the texture of food in my mouth, so I don’t want that annihilated by a Vita-mix. Pureed food also makes me think of baby food. I was a serial baby sitter as a teenager so I may have been overexposed to jars of machine masticated goo. I don’t mind dal, a Indian dish made from pureed split legumes like mung beans, beans, peas, lentils, etc. because it has so much personality. I first had it as a kid, when The Vegetarian Epicure was our go-to cookbook. 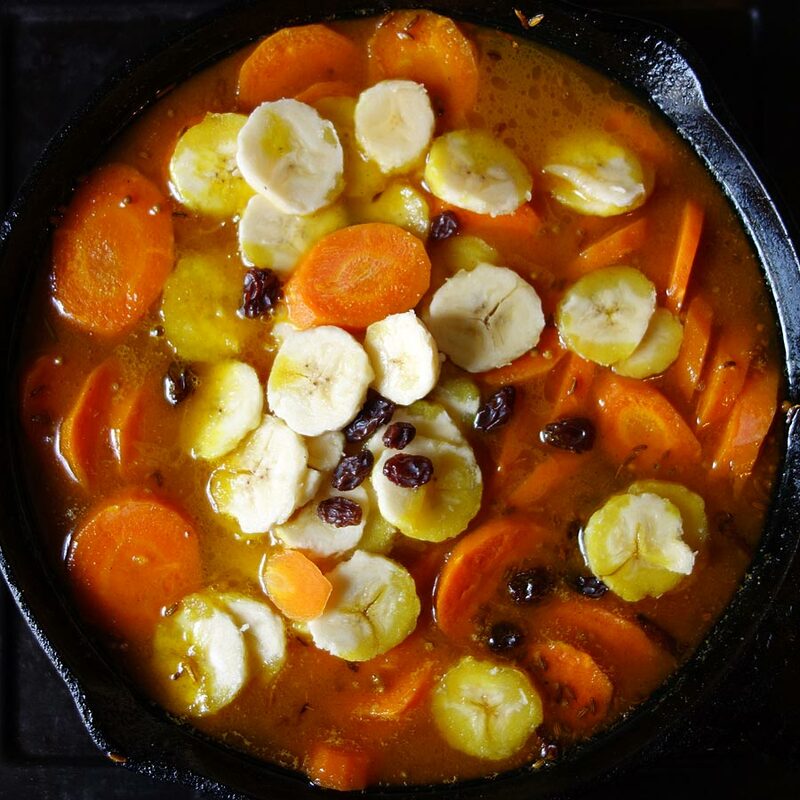 We’d have it as a side dish with my mom’s Madras Chicken Curry and Anna Thomas’s Carrot Banana Curry from her cookbook. My health food freak mom loved dal because it’s so healthy and cheap. It’s a high protein backbone of many vegan and vegetarian diets in India and other surrounding countries. Dining out over the years, dal would always come as a side dish when I’d eat Indian, Nepali, Pakistani and Sri Lankan food. It’s a staple of those countries and very cheap to make, so it’s always on the table. The watery texture a bit off-putting to me, but the flavor is divine. The best dal I’ve had eating out, in New York, was at Dhaulagiri Kitchen in Jackson Heights. It’s a tiny, Nepalese, hole-in-the-wall that makes wonderful Thalis and rote. Their dal is watery, but the spicing is amazing. A few years ago, I was at a brunch with bunch of super healthy, gluten free friends and one of the guests brought a dal soup that had CHUNKS of different veggies in it!!! I thought, “Simple, delicious and easy” and I added it to my repertoire. The cool thing is you don’t need any stock. Dal is made from dried split peas, spices and water. Add any veggies you want or none at all and you are good to go. This soup is healthy, easy-to-make, inexpensive and vegan, but no one will know or care unless you tell them because it’s so delicious. This recipe is a winner. 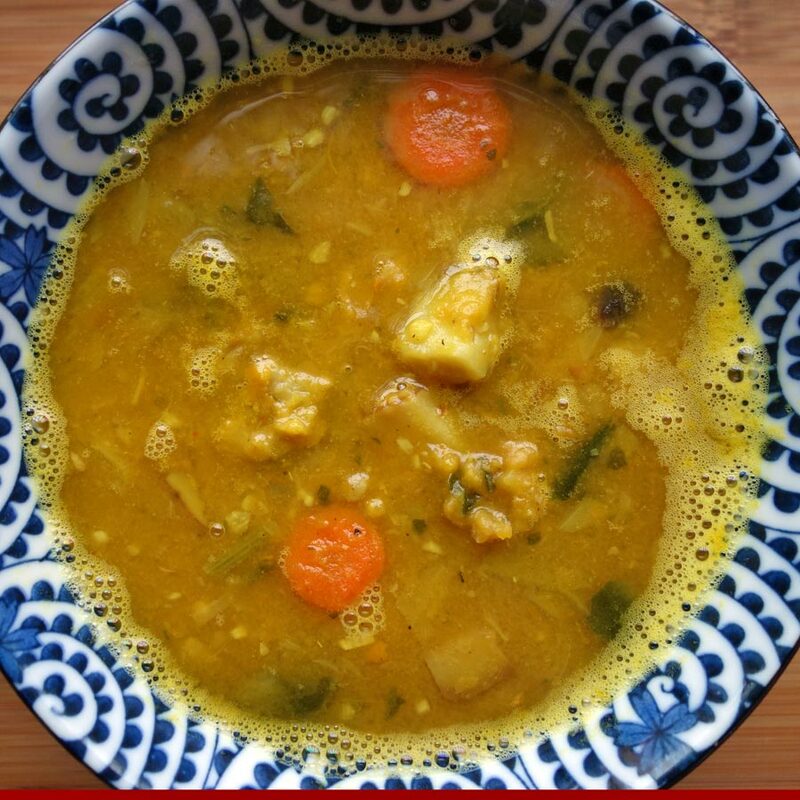 Dal Vegetable Soup is healthy, easy-to-make, inexpensive, gluten-free and vegan. With all that going for it, it should taste like dirt, but it’s mighty tasty too! Melt coconut oil in a large stockpot, over medium heat, add all the dry spices except the cayenne and toast for 2-3 minutes. Add the onions, garlic and ginger and cook for 3- 5 minutes stirring constantly to wilt the onions, then add the carrots and cook for a few more minutes. Add the yellow split peas, cayenne pepper and the water and cook until the split peas soften, about 1/2 hour. Add the remaining veggies and cook until the split peas are mushy and the other veggies are cooked. You can substitute any other split legume, but the cooking times may vary. My Mama didn’t know how to cook when she left the nest. She had to learn fast. 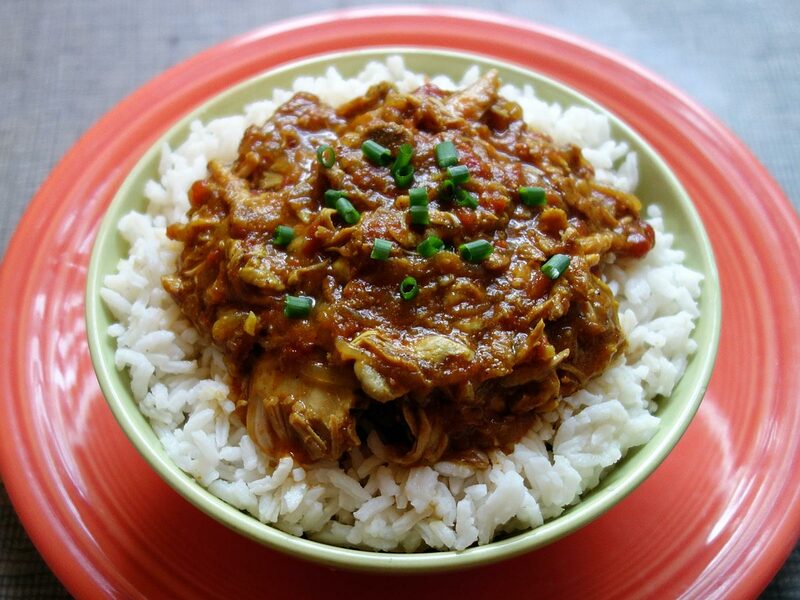 This Madras chicken curry recipe was one of her most requested-by-us dishes. It’s so simple a newlywed could master it! Place all ingredients, except yogurt or coconut milk in a large pot. Bring to a boil, then turn down to a simmer. If it seems a little dry, you can add some water. After a half an hour, taste and adjust the seasoning. Depending on the strength and taste of your curry powder, you may need to add more. Bring to a boil and turn down to a simmer. Cook until the chicken falls off the bone, about one hour. Cool completely. Remove bones from the curry. When ready to serve, add yogurt or coconut milk. Reheat completely. Serve white rice with chutney and your choice of raita on the side. The original recipe calls for garlic powder, but I added fresh garlic. The original written recipe calls for cooking it for 45 minutes in a pressure cooker. You can make it a day ahead, it also freezes beautifully. When I was a kid this was a truly exotic recipe. Who eats bananas for dinner? CRAZY! It’s the perfect accompaniment to a savory curry and vegans and vegetarians can enjoy it too! In a medium saucepan, place carrots, orange juice, salt and enough water to cover the carrot slices completely cook over medium heat for about five minutes. In a medium skillet, melt butter and add cardamom, turmeric, cayenne, and curry; stir for a bit to incorporate all the spices. Then, add the spices back into the carrots, Use some of the simmering liquid to deglaze the skillet. Add the raisins and banana slices to the pot. Turn the heat down to a simmer and let the flavors meld over the next 30 minutes or so. OPTIONAL: To thicken the curry, remove about a cup of the liquid from the dish and whisk into it the cornstarch to make a blended slurry, then add this slurry back to the main dish and stir until it has thickened a bit. The original recipe calls for creating a slurry out of some of the liquid from the curry and the cornstarch if you need to thicken it. I found that cooking the sauce longer and reducing the liquid creates a nice consistency. I like to serve this as a side dish with my Madras Chicken Curry. Adapted from the classic cookbook The Vegetarian Epicure by Anna Thomas. Check out Anna’s latest book Love Soup: 160 All-new Vegetarian Recipes From the Author of the Vegetarian Epicure.